The Peoples Democratic Party (PDP), Kaduna State chapter has disclosed that the sudden disappearance of the governor of the state, Nasir Ahmed El-Rufai, as well as his deputy, Barnabas Bala Bantex could best be described as the height of irresponsibility. 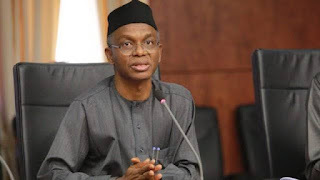 This was made known in a statement issued by the state Publicity Secretary, Abraham Alberah Catoh in Kaduna on Thursday said that the recent killings in Kajuru, Birnin Gwari and Sanga local government Areas could be avoided. “Apart from the APC’s usual propaganda, there is nothing they have achieved in the last 3 years plus of her administration. “In terms of Security of lives and property, Nigerians are worse than they use to be before 2015. Kidnappings and banditry has become the order of the day, aside terrorists activities. Corruption has grown to a more advanced level under the APC’s watch. “All these and more, has made Nigerians hopeless, especially with the high wired electoral fraud perpetrated by the APC in the recently yet to be concluded 2019 general elections, with the support of the Independent National Electoral Commission (INEC), and the Nigeria Army, who the APC government have converted into political thugs. “Where the PDP is leading, results are declared inconclusive or the NA is sent to intimidate, harass and forcefully take away ballot boxes and other sensitive voting material. “Finally, we wish to thank our teeming supporters for their immense support before, during and after the 2019 general elections.